The Court upheld complete ban on all sorts programme within the campus by external/professional/paid agencies such as DJ, musical events etc. The petitioners who were 26 in number have been suspended from the college for varying periods from one semester, one month, 24 days, and 20 days for alleged misdemeanour in connection with the Onam celebration on 19.08.2015. 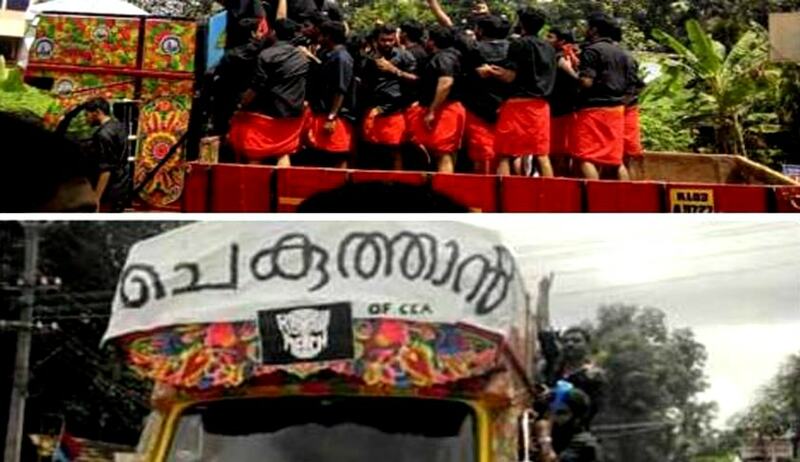 The students of the men’s hostel took out a procession in the evening of that day accompanied by two jeeps and an open lorry titled “Chekuthan”(meaning Devil, commemorative of the lorry used by the protagonist in a classic Malayalam movie) filled with students who danced to the tune of music and drums. One of the two jeeps hit a girl student, a pedestrian inside the campus, who later succumbed to injuries. An internal enquiry committee of the college probed into the matter and found that the petitioners are guilty of indiscipline inside the campus pursuant to which they were suspended from the college. The student who drove the impugned jeep was dismissed forthwith. The petitioners contended that they were merely onlookers and had been roped in due to inter-union rivalry and that the procession was taken out with the permission of the Principal. They also submitted that they were not afforded an opportunity to cross-examine the witnesses and that even a copy of enquiry report was not supplied to them for inspection. The petitioners approached the Court with apprehension that they may loose an academic year due to shortage in attendance if they are not permitted to attend the classes and submit the projects and write the examinations. The Court after hearing their submissions held that the petitioners could approach the Board of Adjudication of Student’s Grievances, the adjudicatory authority constituted under Chapter 36 of Kerala University First Statutes, 1977, for the redressal of their grievances. The Court observed that the punishment imposed by the college can be annulled or varied by the University on the basis of the findings of the Board. The court observed that similar untoward instances have been recurring in the campuses in the state recently. A JCB was brought to the same college during the Onam celebration for the previous year when students stood in its bucket. In another college during Onam celebration this year a fire engine was brought inside the campus to create artificial rain. “The imagination runs riot for the students and the college and hostel campuses are no the venue to exhibit such acrobatics and the same should be put down with heavy hands”, remarked the Court. Further, the Court gave directions clarifying the Regulations issued by the Kerala Higher Education Department on 12.10.2015 for the smooth functioning of the campuses and hostels of Universities and affiliated colleges. The Court held that no permission should be granted to conduct a procession either inside the hostel campus or the college campus in connection with any celebration. It was further observed that the Clause 6 of the Regulation which is to the effect that the vehicle of the students should be allowed only up to the designated parking area can be effectively implemented only if the parking area is ear-marked close to the compound of the campus immediately after the entry gate. It was suggested that a pole barrier should be kept slightly far away and the entry of the vehicles of students shall be restricted by a security guard appointed by the college. “The students driving motor cycles (without helmet) at break neck speed carrying pillion riders (with silencer detached) inside the campus are not an uncommon sight. The sound emanating from motor cycles and cars along the roads inside that campus spoils the academic ambiance and the same has undoubtedly to be cured,” said the Court. It was held that differently abled students can be permitted to get themselves dropped near the class with prior order of the Principal in writing. Teaching and non-teaching staff are also permitted to take their vehicles near their departments. The Court upheld complete ban on all sorts programme within the campus by external/professional/paid agencies such as DJ, musical events etc. It was also directed that no programme of students should be extended beyond 9 p.m. and all such programme should be supervised by teachers.